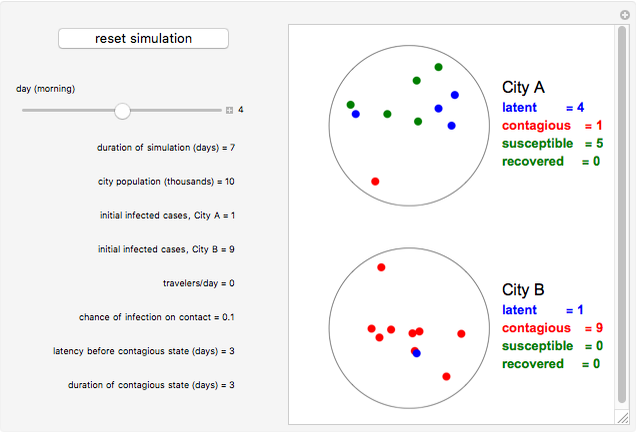 This Demonstration models the spread of a disease given certain parameters. Vary the sliders and click the "run simulation" button. 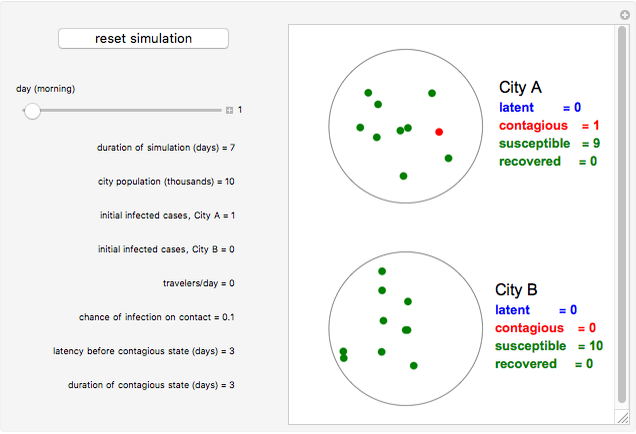 You can then use the "day" slider to see how the disease has spread on a particular day. To change the parameters, click the "reset simulation" button, which brings back the original controls. 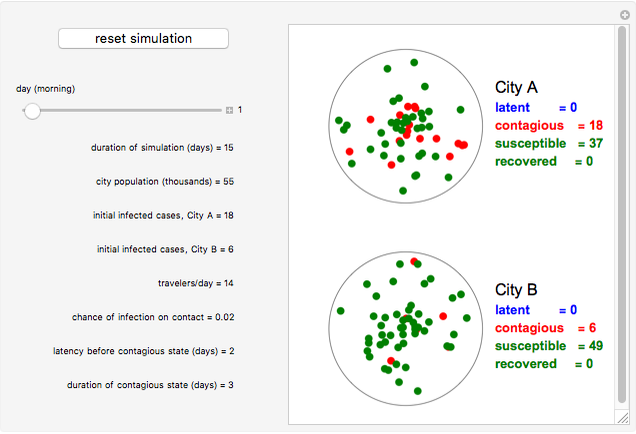 Arjun Adhia "Modeling Disease Dispersion across Two Cities"